After an Entity is created it will be organized into a folder within the designer studio with the name [FolderEntityDataStructure]. The Entity will automatically generate a Configuration Folder, this is where Entity Actions can be applied. Extending Entities creates an object that extends an existing structure type in Decisions with additional metadata. Different ways that an Entity can be extended include Access Patterns, UserActions, Rules, Events, Triggers and Services. After an Entity is created the Configuration Folder will auto-generate. Select the Configuration Folder	to open up the action bar located at the bottom of the designer studio. When you add an access pattern to an Entity	it allows you to define a custom Fetch for the Entity. For example, pass the defaultFetch by Id	in and you will get back the corresponding Entity	. The Access Pattern	lets you set the fields you want to search by, and the conditions of that search. Some conditions that can be set include: equals, contains, greater than, less than, etc. Adding User Actions	creates an instance that is specific to the Entity in use. This can be customized to work on an Entity and in an Entity flow. Below provides a description of each Action	and why thatAction	is used within Decisions. A Group User Action is aFlow	specifically designed to act or utilize multiple chosen data structures and it uses the data structures information as input data. A User Action is aFlow	specifically designed to act or utilize a chosen data structure and it uses the data structures information as input data. The permissions on a User Shared Action are selected from the list displayed under Permission For Actions. Each item from the list has a checkbox that can be selected that will enable that specific permission for the User Shared Action Flow. Below is a description of each permission. Adds a custom Action to an Entities menu for a user to use and do whatever they want to or with that instance of a specific Entity. A Folder Entity can have a validation applied to the entity. This validation can be set up in the form of a Rule	or aFlow,	these are created from an Entity Configuration Folder. Validation Rules	can be easily added to an Entity by selecting an option from the blue Action panel, for example using the Advance Validation Rule, Validation Flow,	and Validation Rule	options. Advanced Validation Rule:	Sets up a custom message that can act as a warning based on the outcome of the true or false evaluation of the entities data. Validation Flow:	A flow that is used to verify a true or false evaluation. Validation Rule:	Is a logical rule that runs a true or false evaluation. Entity Events are set up so that anytime a change is made to a field in an Entity and it is saved or deleted a flow runs. The extension runs a flow that saves the information, this can set to run a flow either before or after the changes are made. After Delete Flow:	A flow runs after a delete is made to the Entity to save the changes. After Save Flow:	A flow runs to save the changes after a flow is changed. Before Delete Flow:	A flow runs before a delete is made to an Entity to save the data. Before Save flow:	A flow runs before a save is made to an Entity to save the data. State Triggers are flows that are auto-triggered when a specific state is in place. When something moves from one state to a specified statea flow can be triggered to run as soon as that application or assignment, etc moves to a specific stage. Create Auto Trigger Flow: Runs a flow when a specific state is in place. Use Shared Auto Trigger Flow: A flow that runs and is in use for multiple different specified states. 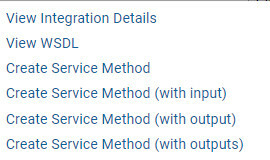 The Entity Service option can be enabled when the Entity is created by selecting the checkbox in the Entities settings under Services	. Entity Services creates a flow that can run for that specific Entity and can be called as a Web Service. This feature is designed to allow easy integration with Decisions so that any Web service can be used in Decisions and run in a flow. You can pre-set and define a message description to generate from a flow. This can be added for custom and text merge, custom long and short descriptions as well as for a Flow for Entity Description and a Text Merge for Entity Description. For more about creating a User Action Flow see attached link: https://documentation.decisions.com/docs/setup-entity-action-flow-end-form-session-step .